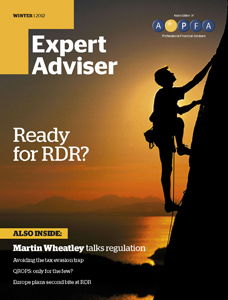 APFA’s flagship publication, Expert Adviser, acts as a key source of information for advisers, providing them with up-to-date analysis of technical issues and developments in their industry. It considers the needs of the financial adviser and the challenges of running a financial advisory business, covering key issues affecting the market; regulatory and legislative impacts; and solutions to improve business efficiency. 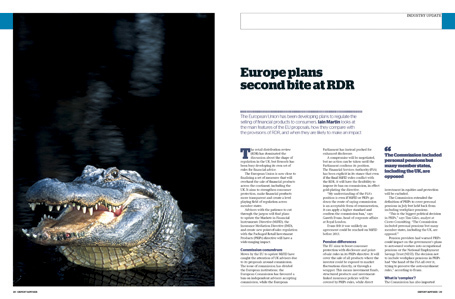 Expert Adviser is edited by Anthony Hilton, financial editor and economic leader writer, London Evening Standard. Content is written by leading journalists, experts, industry participants and commentators. APFA is the voice of the financial adviser. It is here to represent the interests of its membership to the regulator and those policy makers who have an impact on the financial adviser marketplace and the business operation of financial advisers.